First lets start with the Loft space! Just up the stairs and too the right, this area is perfect for game night or a Netflix marathon. In our model home we have added our electric ribbon fireplace option. This fireplace is great when mixed with a laminate wood wall to add comfort to the space as well as a great accent. Measuring 12' x 18' this room is large enough for a large sofa, chairs and a game table. 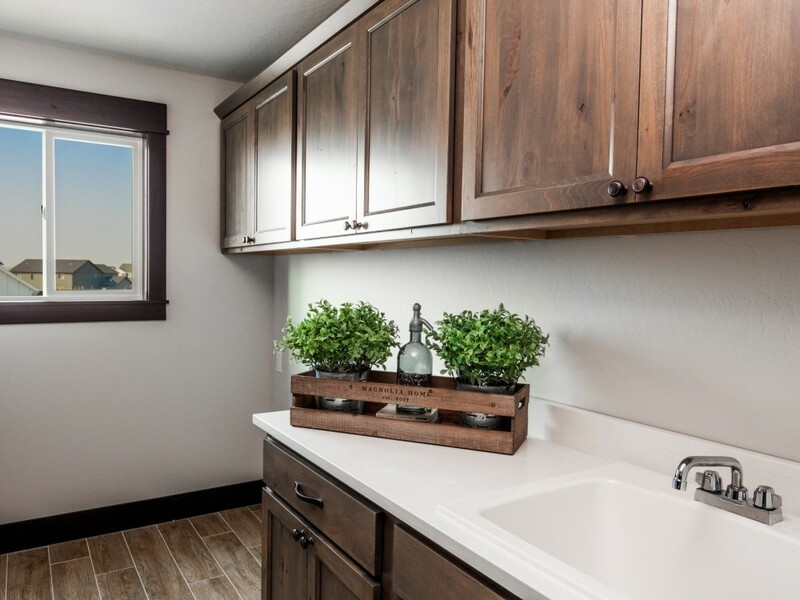 Add a small mini fridge and cabinet and you have the perfect beverage station for when the game is on. To the left of the stairs and separated from the other two bedrooms is a large Guest Room. This room is a spacious 14' x 17' with views out the front of the home. An amazing option on the Plan 3181 is the ability to add an individual full bathroom in every second floor bedroom. On our model we added a bathroom to this Guest Room creating a perfect oasis for guests to wash up without sharing with the family. Adding the bathroom still includes a large closet and room for a queen or king-size bed, two night stands and a dresser or TV stand. 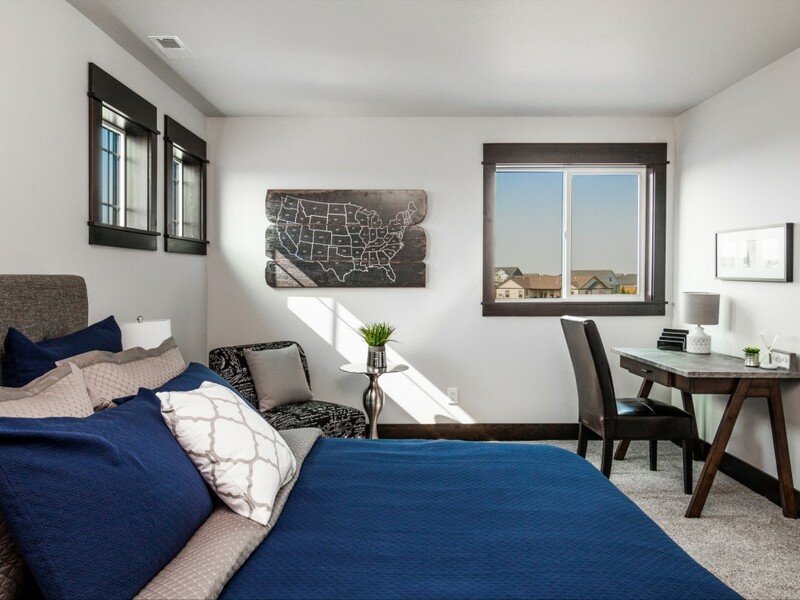 The final bedroom in our model home is no exception when it comes to spaciousness. 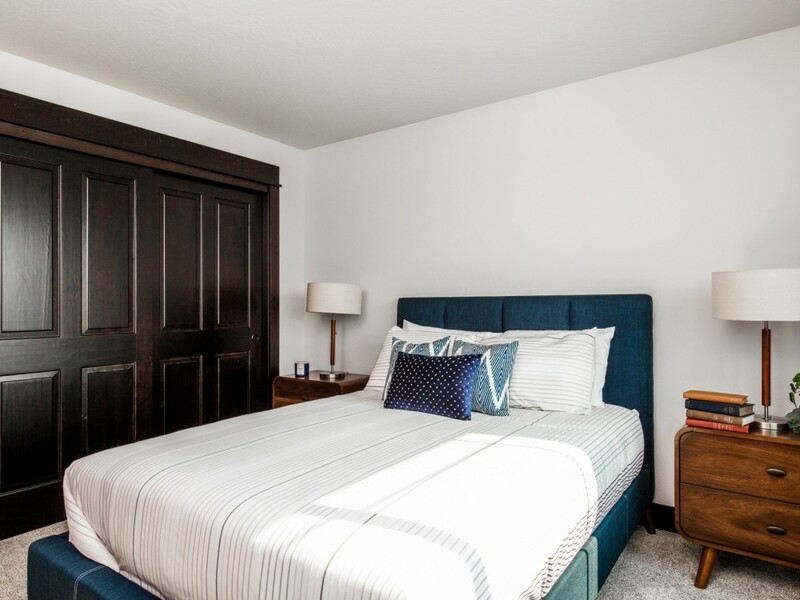 At 11' x 14' this room features a large walk-in closet, multiple windows and a space for a queen or king-size bed with room for a desk and seating as well. 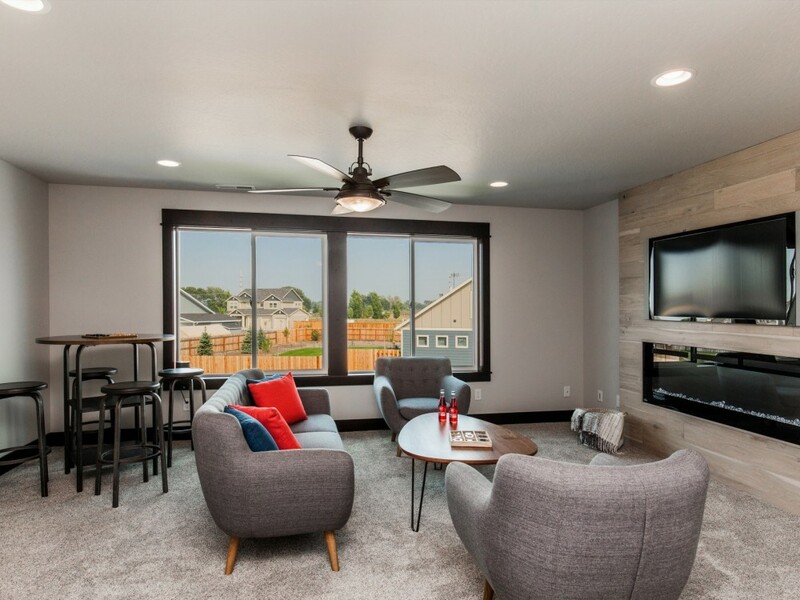 This room is perfect for a teen, with room for studying and set apart enough from the other rooms to give them some space. Shared between Bedrooms 3 and 4, this bathroom is spacious enough to fit the needs of both. The vanity 54" long with drawers on both sides and storage under the sink. 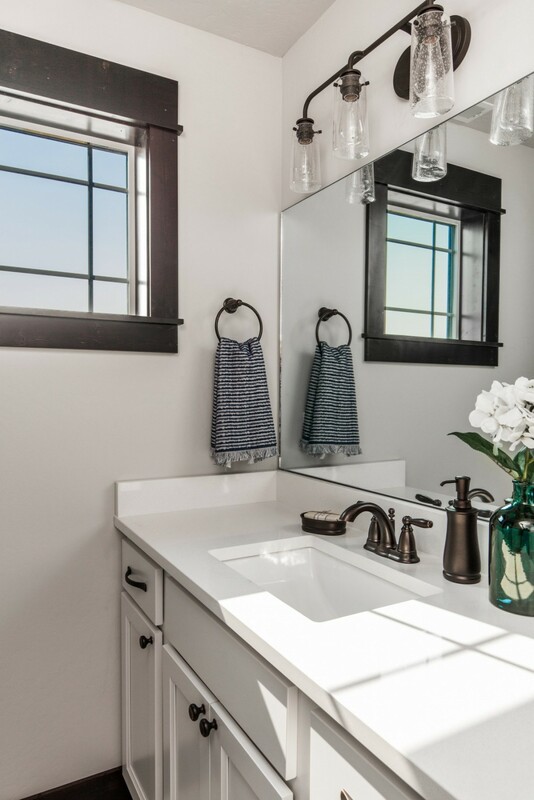 In our model home we have used a solid surface countertop because it is antimicrobial and has an integrated sink. This allows the space to stay cleaner longer which is perfect for any busy family! We also tiled this shower to upgrade the durability of the shower and add some texture. For a house this big a highly functional laundry room is a must and this house delivers. 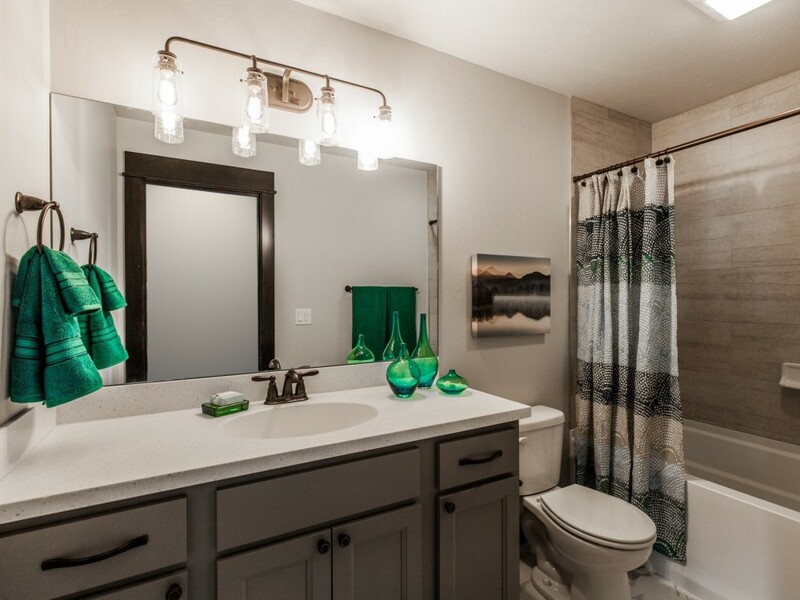 We feature several upgrades to this room in our model home including tile floors, tons of storage in upper laundry cabinets and a large utility sink with cabinet below.